Landry Jones married his girlfriend Whitney Hand in 2012. How is his married life? Do you love an American football? If you do then you must have known Landry Jones, he is a talented quarterback of NFL who played for the Pittsburgh Steelers of the NFL (National Football League). Landry Jones was born in Artesia, New Mexico where he attended Artesia High School. He started playing football from his college days. He played a college football at Oklahoma and was drafted by the Steelers of the National Football League in the fourth round of the 2013 NFL Draft. Talking about his personal life, Jones has been married to Whitney Hand-Jones since July 6, 2012. His wife Whitney is a former Oklahoma Sooners women's basketball guard. The 27 years old, Landry Jones is an American professional football player who has a height of 6 feet and 4 inches. The tall player has also got a very attractive and strong body posture that a football player is supposed to have. Landry has been married to Whitney Hand. Landry started dating his girlfriend Whitney since his college days. Whitney Hand is the 6 feet 1 inches tall and beautiful basketball player. She has attended the University of Oklahoma from where she started playing basketball as a guard. Whitney and Landry got engaged in 2011 and got married after a year. The couple is blessed with a child, Ezekiel Jones. Though Whitney was unable to make her senior NBA career remarkable, she made her place in Landry's heart. The couple is enjoying their married life and plans to be together forever. 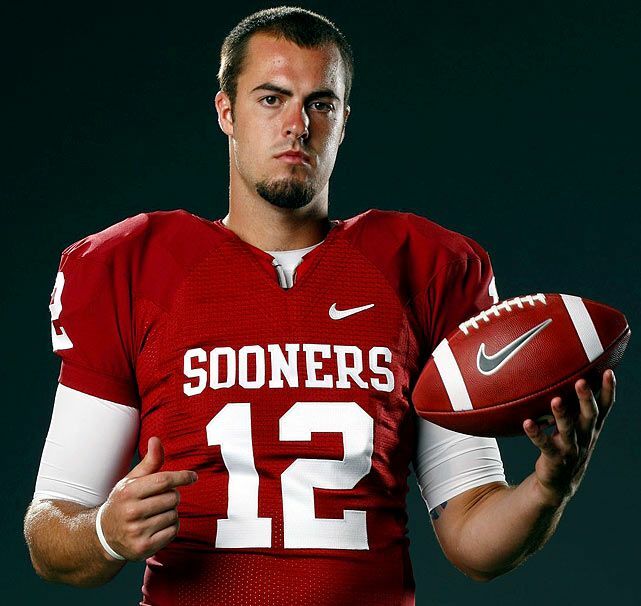 Landry Jones started playing football as a college player for the Oklahoma Sooners football team since 2008. He graduated from the Oklahoma University in 2012 so he played football with the college football team until he passed out from the University. His college career included 4 consecutive seasons since 2009 to 2012. His football career took a sharp turn when he was selected by the Pittsburgh Steelers in the fourth round of the 2013 NFL Draft. On June 12, 2013, he signed a 4-year contract with the team for $2.59 million and with a $ 439,220 signing bonus. He got a chance to play in the NFL only in October 2015, where he debuted against the Arizona Cardinals. In 2015, He got an opportunity play in 7 games while in 2016, the number of opportunities increased by 1. As of NFL statistic 2016, he has completed 85 passes of 141 attempts and has covered 1,071 passing yards. We wish the lovely couple all the best for their future career and married life. We hope they stay happy like this forever and hope they become an exemplary parent. What do you guys think about Landry and Whitney? Please, leave your comments below. The 12-year-old actress Jayden Bartels Opinion On Love, Does She Have A Boyfriend? Are Tory Belleci and Kari Byron in relationship? Are they getting married?